What is The Generic Name of Acnesol Gel– 1% (20gm)? 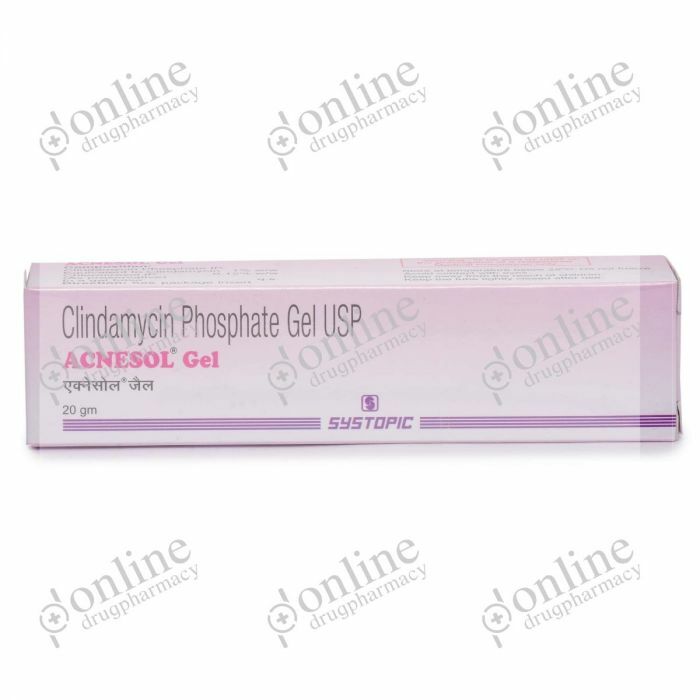 Clindamycin is the generic name of Acnesol Gel. Acnesol gel is manufactured by Mepromax Lifesciences, India and is available at all the leading online pharmacies, drug stores and medical stores. It is one of the leading brands and in India. It is usually used in the treatment of acne vulgaris. This medicine is available in varying strengths. One should use the strength as directed by the physician. How Acnesol Gel– 1% (20gm) (Clindamycin) works? • Reducing the number of pustules and papules in acne vulgaris. • It inhibits the growth of bacteria. • One is not allergic to it. • It is not affecting the medicines you are taking with it. • If the skin is cut or it has abrasions. • If one is allergic to it. • If one is taking medications which increase the chances of sunburns. • If one is pregnant or lactating. • One is allergic to Acnesol gel. • One is taking any other medication for any disease or disorder. • One is using any skin products. • One has skin injuries. • One has sunburn issues. • One accidentally swallowed it. Acnesol gel is available in varying strengths and at different doses. How much of Acnesol Gel– 1% (20gm) (Clindamycin) to be applied? A thin layer of cream should be applied to the affected area one time a day before bedtime. How to apply Acnesol Gel– 1% (20gm) (Clindamycin)? • One should wash his/her hands and the affected area and dry it properly before application. Wait for 20-30 minutes. • Apply the gel gently with fingertips on the affected area.Do not rub too much. • Avoid applying near eyes, mouth, nose, inner ear. • Clean your hands carefully after applying. For how long should one continue applying Acnesol Gel– 1% (20gm) (Clindamycin)? One should apply Acnesol gel as long as directed by the physician. The effects can be seen in 2 to 3 days. In case of an overdose, immediately call your doctor and consult. If one has missed a dose of Acnesol gel, there is no need to apply two doses next time. Just continue with your routine. However, a missed dose should be applied as soon as you remember it. But do not apply multiple doses at a same time. If diarrhoea occurs stop administration of Acnesol and consult a doctor as soon as possible. • Avoid exposure to sunlight and UV rays. • If skin irritation or allergies persist, stop the application of gel and consult a doctor. • Tell the doctor about your medical history. • Follow the instructions as told by the doctor. Use Acnesol Gel as prescribed by the doctor to treat bacterial infections of skin and acne. Apply Acnesol gel according to the directions given by your doctor. Wash your hands properly before and after applying Acnesol gel topically. To take the maximum benefit, use Acnesol gel as per the instructions given by your doctor. Administer Acnesol gel directly to the infected part of your body. Acnesol comes in gel form in a concentration of 1% W/W. Contact your doctor immediately if you experience adverse signs & symptoms. Apply Acnesol gel as directed by your doctor for maximum efficiency. • Keep the tube in a clean and dry place.